I’m delighted to be writing my first message of 2018 as it is already shaping up to be an exciting year for the CAP and our members. On April 21st, our Board of Directors is holding a strategic retreat to begin working on our 2019-2024 Strategic Plan to guide our organization over the next five-years. We’ll be consulting extensively with our membership to ensure we’re setting goals that will benefit you and the Association. Highlights of our next Strategic Plan will be presented during the 2018 Annual General Meeting in Halifax. If you’re looking for ways to get more actively involved in the CAP’s future direction, I encourage you to consider putting your name forward for one of our vacant Council positions. 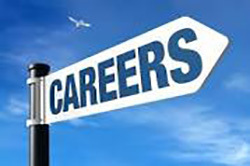 A list of vacancies and nomination forms can be found on the CAP website. You can also reach out to our portfolio directors for opportunities to become more engaged. Our directors are always looking for committee members and volunteers to help with various projects. This year we’re stepping up our efforts to expand our membership and representation. In addition to recruiting new individual members, the CAP is focused on expanding our institutional and corporate membership. I invite you to submit names and contact information for any organization you think should be affiliated with the CAP so we can reach out to them about membership opportunities. The first annual International Day of Light (IDL) will take place May 16, 2018. This global initiative provides an annual focal point for the continued appreciation of light and the role it plays in science, culture and art, education, and sustainable development, and in fields as diverse as medicine, communications, and energy. As Canada’s central Day of Light point of contact, we will be hosting the official Canadian Day of Light website and will be sending a student representative to Paris, France to help out at the official UNESCO IDL launch. More details will follow in the coming months. Lastly, we continue to work on the planned changes to improve the Governance of the CAP to meet the needs of all of our members. As you know, the Board has approved the establishment of a Student Council which will report directly to the Board, and have restructured the CAP Advisory Council to have a Chair elected from and by the members of the Council to improve/expand the functionality of this group as an Advisory body to the CAP Board of Directors. If you have any questions about these changes please contact us. Your feedback helps make us better! 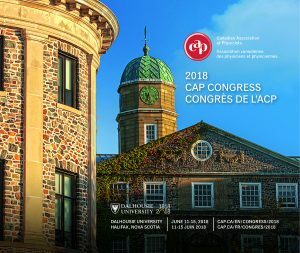 The 2018 CAP Congress will be held at Dalhousie University in Halifax N.S. from June 10-15. This is an exciting opportunity to showcase and celebrate achievements of physicists in Canada and around the world. This year’s Congress features an exciting list of plenary and invited speakers as well as presentations from six medal winners. Our Hertzberg Public Lecture will be given by Dr. Nergis Mavalvala from LIGO/Massachusetts Institute of Technology. We are now inviting abstract submissions for the 2018 CAP Congress. Please submit your abstracts for an oral or poster presentation before the deadline of midnight PST on February 28th. We encourage you to consider a poster presentation as oral spaces are limited. 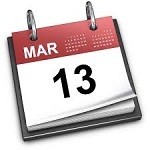 Post-deadline poster abstracts will be accepted only if space remains once the abstracts submitted by midnight PST February 28th have been processed. We look forward to receiving your abstracts well before the deadline. Make sure to check our CAP Congress page often as we add to our program and events listings. This year, the CAP Congress is pleased to host a workshop on Sunday, June 10, prior to the start of Congress, aiming to help graduates transition into the non-academic workforce. There will also be auxiliary lunch-time sessions to continue the learning and discussions. Check back to our main Congress website for further details and registration information. The 2018 Cap Lecture Tour is now underway at universities across Canada. 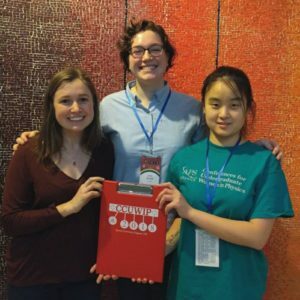 This program brings unique and interesting talks to undergraduate students on a wide range of physics topics. The program allows physics departments to strengthen collaborations with the CAP, helps to increase our organization’s visibility and promotes student membership. The CAP Awards for Excellence in Teaching High School/CEGEP Physics are presented annually in five regions in Canada to recognize teachers with exceptional ability to communicate their knowledge to their students, develop innovative teaching methods, and mentor new physics teachers in Canada. If you know a physics teacher who deserves to be recognized, log in to member services and submit a nomination using the CAP’s online nomination submission process before the February 28 deadline. The 2018 University Prize exam will be held at campuses across Canada on Tuesday, 2018 March 13. The competition is open to undergraduate students who are enrolled in a physics program at a Canadian university. The CAP University Prize Examination is a national competition open to students across the country who are studying physics and are enrolled in an undergraduate program at the time of the examination. All eligible students are encouraged to participate. Visit our website for a full schedule and details. Congratulations to all those who helped make the 2018 Canadian Conference for Undergraduate Women in Physics (CCUWiP) at Queen’s University in Kingston, Ontario a great success. We’re proud to announce that we have received two bids to host the 2019 CCUWiP which will take place January 18-20, 2019. The bids are currently being reviewed and decision should be announced by February 15, 2018. Thank you to both groups for your submissions. CCUWiP’s primary goal is to help undergraduate women continue in physics by providing them with the opportunity to experience a professional conference, information about graduate school and professions in physics, and access to other women in physics of all ages. The CAP staff got a firsthand look at Quantum: The Exhibition when they toured the Canada Science and Technology Museum (CSTM) on February 2. The first of its kind interactive exhibition, created by the Institute for Quantum Computing at the University of Waterloo, examines how quantum mechanics and information technology are merging to create new technologies that will revolutionize and define the twenty-first century, while including interesting elements related to the history of this area of research. This exhibit, which has been touring the country, will be on display as a special exhibit at the newly re-opened CSTM until April 1, 2018. The redesigned CSTM features a large demonstration centre, new interactive displays throughout the museum (including a children’s zone), as well as a section on astronomy, space, oceanography, and an impressive display of microscopes and slides, while preserving old favourites like the crooked kitchen and the locomotives. We encourage you to drop by and check it out. The Division of Nuclear Physics has experienced strong membership growth over the past few years. Between 2010 and 2014, the number of members was fairly constant, between 210 and 220. Since then, membership has grown steadily to about 340, an increase of nearly 60% in two years. This increase is entirely due to the recruitment of new student members, underlining the vitality of a field that has a long, distinguished history in Canada, with world-renowned facilities such as Chalk River, TRIUMF, and SNOLAB. The 2016-17 DNP thesis award competition received a historically strong total of six submissions. The winner will be invited to present a talk at the 2018 Congress in Halifax. We are currently planning for at least 13 sessions with DNP involvement during Congress. Modern nuclear physics has close ties to particle and atomic/optical physics and a strong theory component. 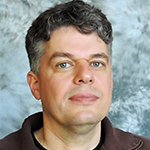 Not surprisingly, eight of these sessions are jointly sponsored with the Division of Theoretical Physics, the Particle Physics Division, and the newly merged Division of Applied Physics and Instrumentation. This program is headlined with a plenary talk by Nobel Prize winner Eric Cornell, reporting on his group’s exciting search for a time-reversal-violating, permanent electric dipole moment in a trapped molecular ion. We are looking forward to an outstanding DNP program at this year’s Congress. Another important area of activity for the DNP is the sponsorship of conferences, in particular student participation. For the Winter Nuclear and Particle Physics Conference (WNPPC) in Banff in February 2017 and the upcoming WNPPC 2018 at Mont Tremblant, we contributed $250 for student prizes. We also sponsor annual student presentation prizes at the CAP Congress (1st and 2nd prize for talks, and one poster prize). In June 2017, the current DNP executive was put in place: Gerald Gwinner (U Manitoba) chair, Corina Andreoiu (Simon Fraser) chair-elect, Barry Davids (TRIUMF) treasurer, Reiner Kruecken (TRIUMF) past-chair. Corina will take over as DNP Chair at the 2019 CAP Congress. Please join us in extending a warm welcome to the newest CAP Institutional Member, Stewart Blusson Quantum Matter Institute (SBQMI) at the University of British Columbia. SBQMI is a new venture into research of systems and phenomena explicitly involving quantum mechanics. Are you part of an institution that you feel should be formally affiliated with the CAP? Head to our website for more information on how your organization can register for Institutional Membership. SNOLAB is pleased to announce the addition of three new members to their leadership team who will work with Executive Director, Dr. Nigel Smith, in the delivery and development of the facility’s scientific programme. Dr. Richard Ford, Director of Programme Development, is leading the team responsible for experiment development and the enhancement of facility capabilities including the low level radioactivity measurement lab. 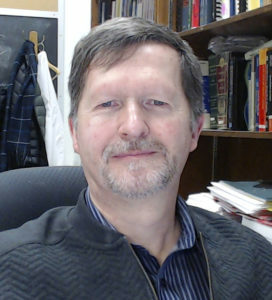 Dr. Jeter Hall, Director of Programme Delivery for Science, is accountable for the successful execution of the laboratory’s large suite of projects in tandem with the successful operation of its scientific program. Allan Barr, Director of Programme Delivery, is responsible for maintaining and coordinating the facility resources to ensure the deployment and integration of the SNOLAB scientific programme within SNOLAB operations. Explore SNOLAB from wherever you are in the world by visiting our virtual tour on our website: https://www.snolab.ca/facility/vr-tour. With just your smartphone and a pair of VR glasses, you can travel through the lab without leaving the comfort of your home or school. This new version for VR glasses provides an immersive experience that includes views of the experiment halls, support service areas and even provides a look inside the SNO+ detector. Connect with us on Twitter, Facebook or Instagram @SNOLABscience and let us know what you think! 2018 marks TRIUMF’s 50th anniversary and we are celebrating the occasion with a number of events over the course of the year. Please see www.triumf50.com for a look back at our past 50 years of discovery and innovation and some of the ways we are marking this milestone. Details about programming and registration will soon be available on the Science Week 2018 website, http://www.triumf.ca/science-week-2018. Please join us at TRIUMF for a week of activities honouring our exciting science – past, present, and future! The Kurt J. Lesker Company recently launched the 2018 NANO 36 Thin Film Deposition System Platform. This newly optimized, entry-level deposition system has been specifically designed for glovebox integration. It also offers increased deposition capabilities and substrate platen options with a reduced system footprint. The NANO 36 provides an accessible price point and exceeds all KJLC quality standards. The 2018 NANO 36 Thin Film Deposition System Platform is compatible with multiple deposition techniques and substrate fixture options.